The ideas tentatively explored by Jesus' early followers and then further developed by later generations of Christians are often called theories of the atonement. Even though the English term "atonement" is relatively recent, the word has become the modern umbrella term for the various ways of understanding the meaning of Jesus' death. 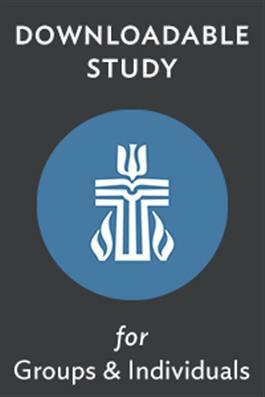 The first goal of this two-session study is to understand the three dominant views of the atonement. The first cluster of atonement theories understands the cross in terms of human sinfulness and God's forgiveness. The second group of atonement theories understands Jesus' sacrifice in terms of how it inspires his followers to similar acts of love, integrity, and self-denial. The third theory places Jesus' death in terms of the way it reveals the depths of God's love for us and God's presence with us in suffering. Our second goal is just as important. We want participants to appreciate the mystery, the "somehow" of our atonement through Jesus Christ. Somehow by his death on the cross Christians have come to trust that Jesus spans the divide between human and divine. Somehow by his death on the cross Christians have come to believe that he bridges the moral chasm between our imperfection and God's perfection. Somehow, the cross discloses to the faithful the deepest truths about the love and purpose of God.